Last week I spent some time at Amy’s Custom Cakery catching up with Amy and Lois! I wanted to update Amy’s head shots for her business, since we work together quite a bit! I love her work for my Cake Smash Sessions! I have to say, it was difficult to leave without a treat in hand! I am not sure how she does it!! Amy’s Custom Cakery opened in December of 2011 when Amy was only 19! She began decorating cakes at 16, in Shurfine’s Bakery. Lois was the lead cake decorator at Shurfine during the time Amy worked there. 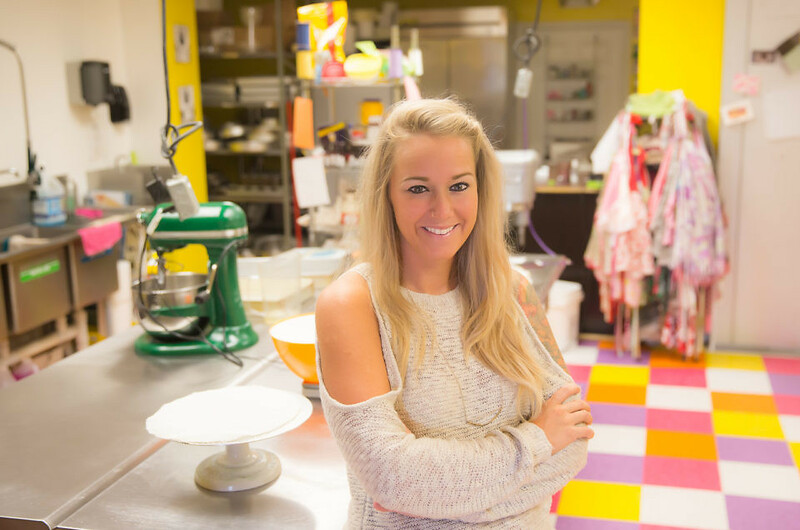 She taught her the basics until Amy decided to take college classes for baking and pastry arts at Pennsylvania College of Technology for two years, during those two years she began working for one of the chefs at the college who had a cake shop in her home. Her last semester in college a building in Dover came up for sale! With the help and encouragement of her dad she was able to open to her shop there! Lois is with Amy, and they are a great team! 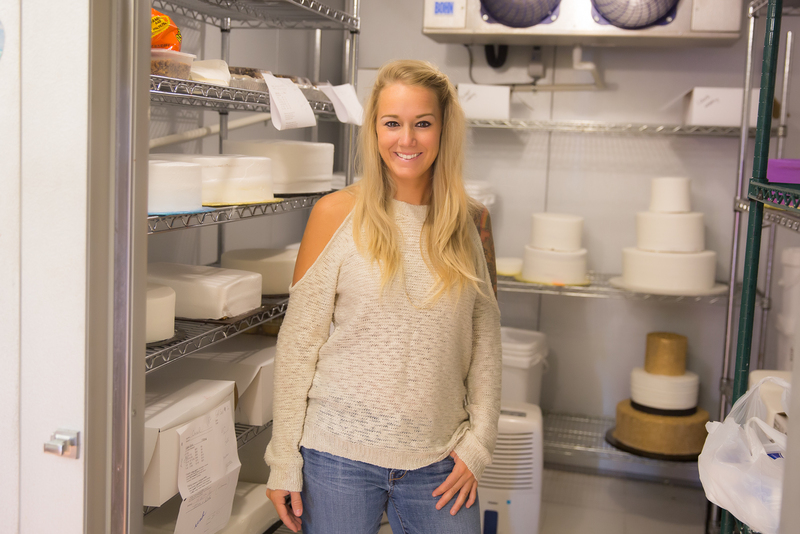 Amy’s favorite things to decorate are the wedding cakes! Girl cakes too! Not so much the baking part! I thought it was very interesting how time consuming it really is to bake and cool all of the cakes! That is the beginning of their week! 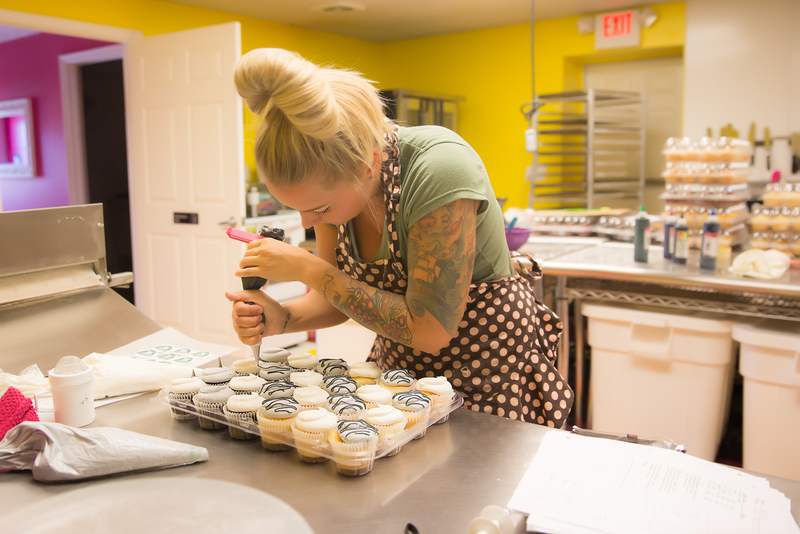 Amy’s Custom Cakery hosts blood drives quite often, they have one coming up this month on Friday, September 22 from 4–7 p.m. Every time you donate blood at their location you get a free cupcake. 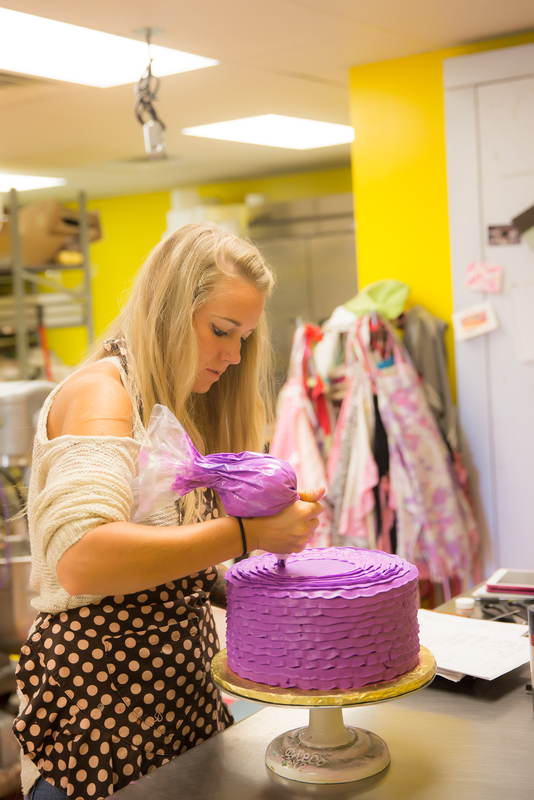 They also have cake decorating events throughout the year for kids and adults! These are typically offered in the winter, but if you follow the Facebook page https://www.facebook.com/amyscustomcakery/ you’ll see the class updates! Just recently, Amy added a family favorite … Peanut Butter Pie! They have been a huge success! These are available for pick up!